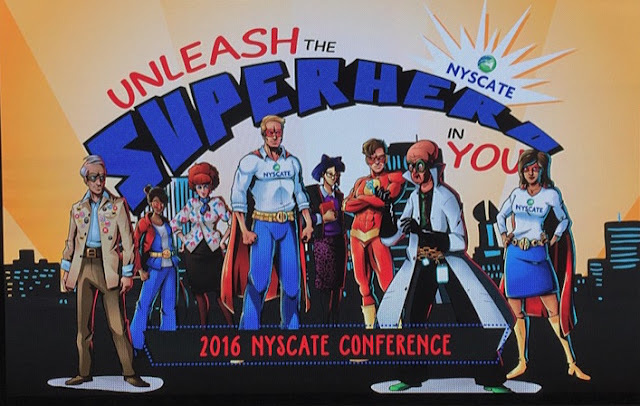 The theme for the 2016 annual conference of the New York State Association For Computers And Technologies In Education (NYSCATE) was "Unleash The Superhero In You." 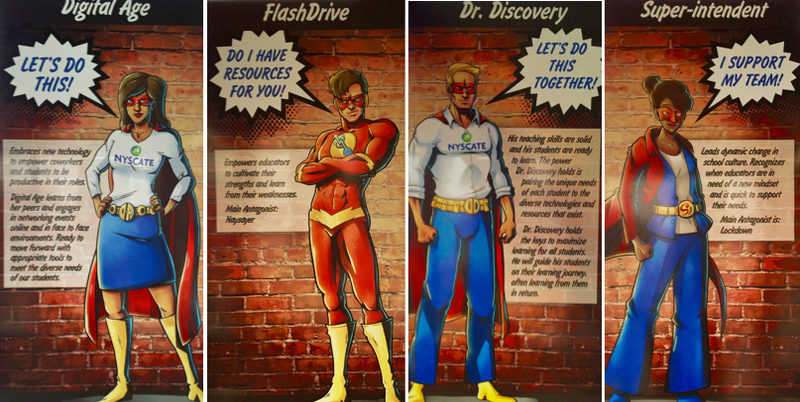 This effective branding throughout the conference hall — and the colorful capes given to every attendee — spoke volumes to the notion of teachers as heroes in seizing opportunities and embracing technology, and often struggling against the curmudgeonly villains standing in their ways. 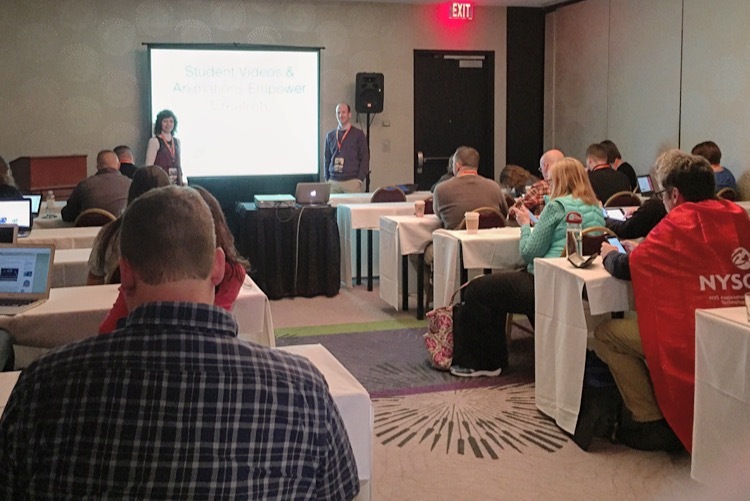 After three days of sessions and keynotes, kiosks and meet-ups, it was more clear than ever that educators are feeling they have the necessary tools to invigorate the learning potential of their students. Every teacher we met was excited to try a new web app or a backchannel to decentralize daily instruction. As Chromebooks catch up to (or surpass) iOS devices, the Google Apps For Education (GAFE) suite of tools is clearly permeating state-wide districts. As videos and online media put information squarely in the hands of learners, both children and teachers feel more empowered than ever to chart their own courses in meeting the various standards. For our part, we are grateful to the 60+ participants who sat on the floor and stood against the walls for our presentation on Sunday, November 20, 2016, about “Student Videos & Animations Empower Creativity.” We apologize to those who were turned away for space reasons, and we have put all of our resources and slides online to share with any interested parties. Thank you to all of the attendees for the insightful questions and terrific recommendations about lessons and tools related to student projects and videos. In hearing from the other experts in the terrific workshops during the conference, highlights that stood out included the tips on formative assessments from Steve Garton (@sgarton121) and Jeff Mao (@jmao121) of Common Sense Education, as well as the annual App Smackdown from Rich Colosi (@richardcolosi), Ryan Orilio (@ryanorilio), Mike Amante (@mamante), and Monica Burns (@classtechtips). Other eye-opening sessions were engaging the writing process using Google Apps, WeVideo, and Recap with Megan Hugg (@Megan Hugg) and Lindsey Peet (@LindsMariePeet); liberating students from paper using ePortfolios with Betsy Hardy; and tapping the lesser-known features of Google with Carol LaRow (@larowc). 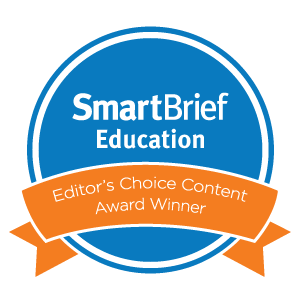 Student coding, blended writing, and shared collaboration also emerged as recurring themes within the high-quality professional development. Perhaps the keynote comment by Adam Bellow (@adambellow) summed it up best, "Technology does not drive change; it just enables it." The lake-effect snowstorm that blanketed downtown may have kept some New Yorkers homebound, but it made for a tight-knit group in the warm confines of the Joseph A. Floreano Rochester Riverside Convention Center. It also meant that Dinosaur BBQ was blissfully quiet on Sunday night, as we savored our favorite fried green tomatoes and spicy pulled pork. Pane Vino on North Water Street continued to rank as one of the best restaurants anywhere in the nation. And we also recommend Starry Nites Cafe in the arts district as a short hop away for a quick latte and chicken chili after perusing handmade jewelry at Craft Company No. 6. 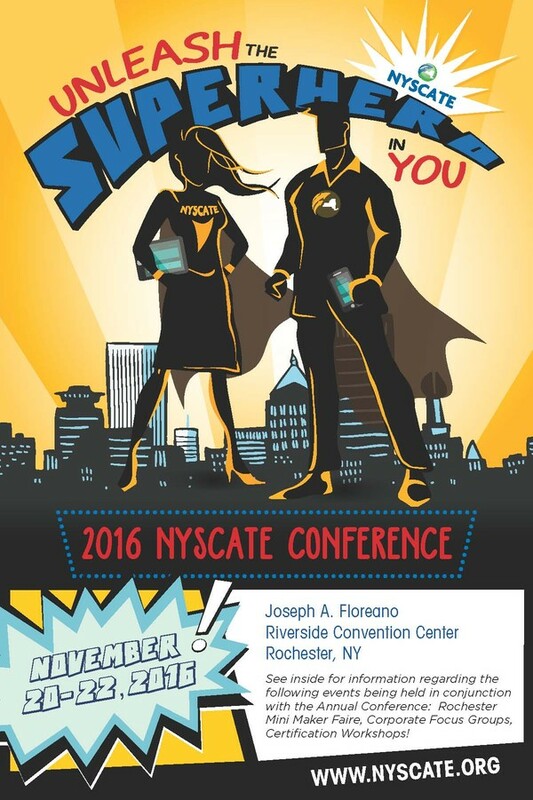 Finally, we want once again to give a big shout out of thanks to the NYSCATE conference organizers for all they did in staging this seamless annual get-together. The smoothy run sessions and the high-quality breakfast / lunch / dinner included in the overall fee, as well as the warm welcomes and conversations throughout the event, confirmed once again why this is the best confab of the year. See you in 2017. 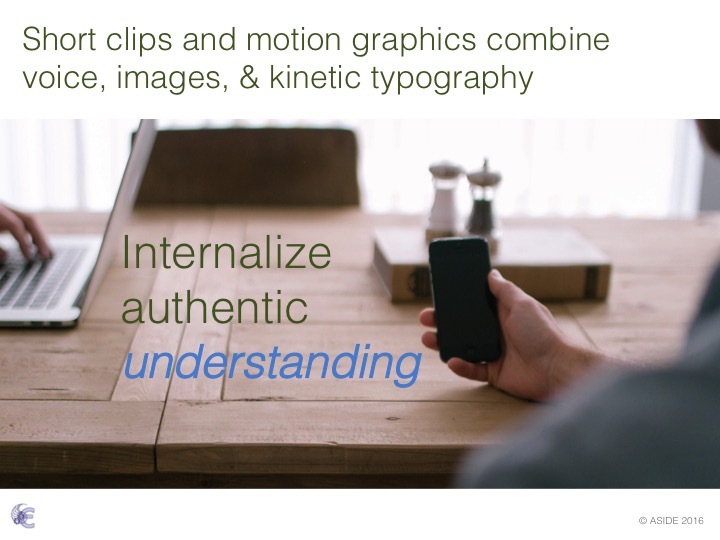 Creating videos and motion graphics nudges both students and teachers to blend a host of proficiencies. 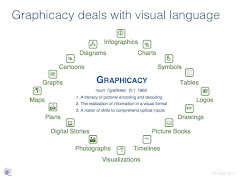 It involves visual design in colors and templates, just as it requires language skills of narration and storytelling. It supports key technological skills in manipulating online media, and it reinforces the importance of publishing in sharing child creations with peers and parents. Kids teaching kids is the purest model of learning. It is the model of the student-centered classroom, because they become the educators of their peers. Video production allows students to stitch together a narrative and storyboard each moment in the process that combines logical reasoning, cause-and-effect, and content mastery. They also must employ their graphicacy skills to fashion compelling and appealing visual displays. 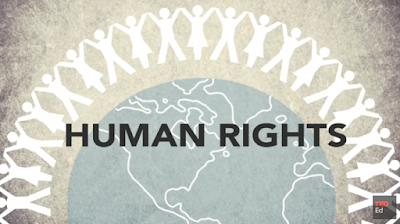 These quick-cut movies and short animations combine icons and text to communicate a message. 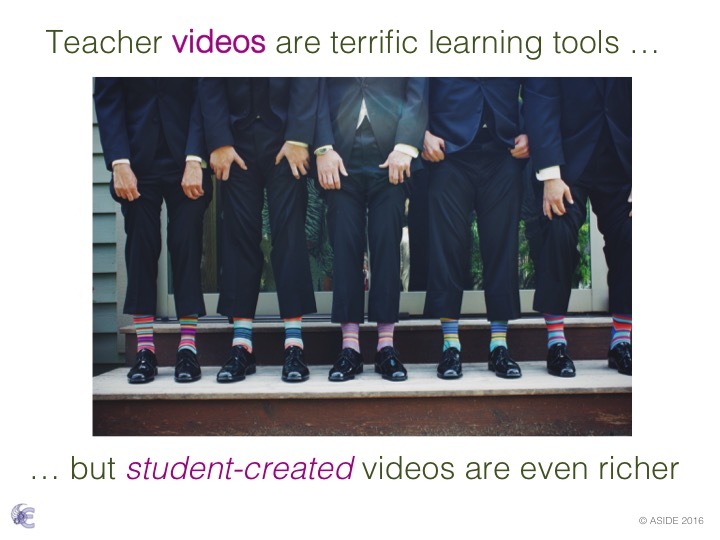 Explainer videos, for example, are perfect for the classroom. They blend voice, image, and language into compelling presentations for students to learn. Content created using app editors or motion graphics provides a way for the brain to receive information through both the eyes and ears. Learning tools that can tap into both modalities have greater effectiveness in fostering understanding. 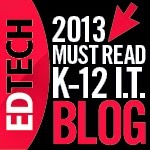 They add layers of meaning for nuanced, standards-based education. It is important to employ interactive ways to engage and share student work that builds alternative ways for students to design content, collect feedback, and reflect on the creative process. This requires using resources that engage learners in the classroom much the way they are outside of it. The gradual spread of technology tasks is invariably shifting classroom education toward a more student-directed model. As we move more and more into the blended, flipped, and social world of learning, we need to encourage creative interactions and self-directed investigations with the knowledge that our students can be active participants in the education process. As part of the challenge, the students watched the video called “MediaOcracy” from the WeTheVoters, and they tweeted their responses to the guiding questions below with the hashtag #DoNowViews. Does social media help or inhibit our ability to develop our own political values? Are your social media networks actually shrinking your worldview? What do you do now, or what can you start doing to make sure you are seeing all sides of an issue while on social media? MediaOcracy from We the Voters on Vimeo. This eye-opening video made the students stop and think a good deal about how viewers could be so easily influenced through algorithms that deliver content from a single point of view, and moreover, how it often leads to a one-sided look at information. It unnerved them a little when they found out that “someone” was aggregating their search results based on likes. 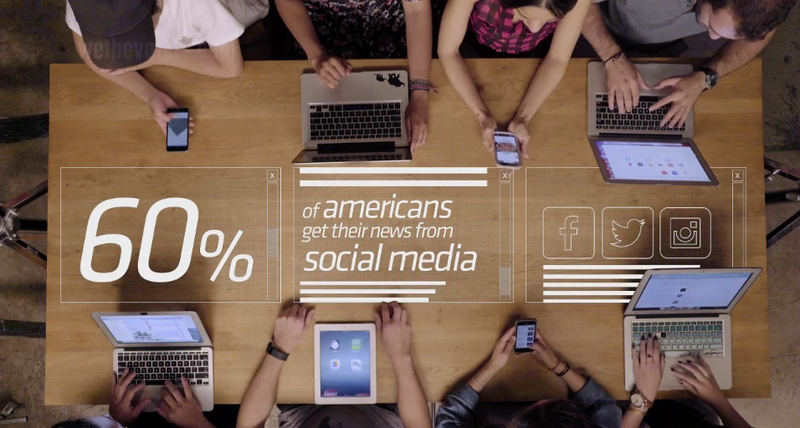 It also surprised many that 60% of Americans use social media to get their news. One important takeaway recommended in the video was to watch or listen to another media network that you “violently” oppose to avoid being caught up in a social media stream that feeds only what one wants to hear. With so many modern media outlets openly biased toward the right or left, it was important for these young minds to see the value in comparing information. The media literacy program at our school has been in place for over 16 years, and it starts with the first graders. We’re fortunate, too, that our students are permitted to use social media for learning; it allows us to update our program to include new media literacy skills as part of the learning process. 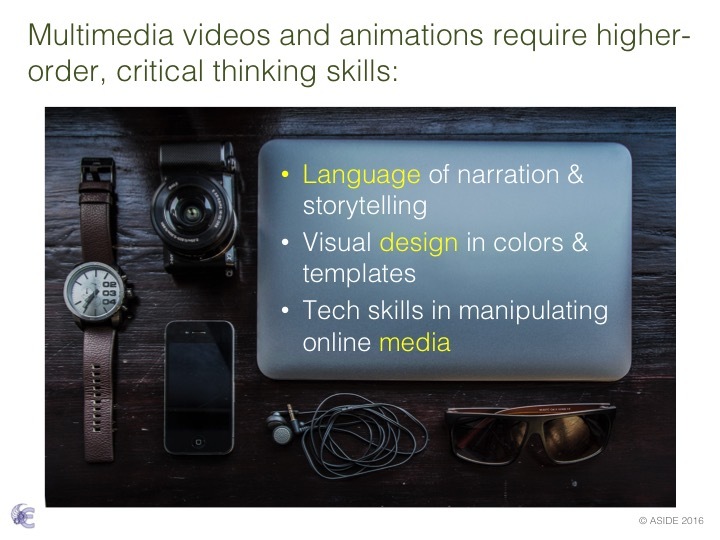 In an age of media bombardment, learners must be permitted to practice skills not only for today’s world, but also for their future. The New Media Literacies video below drives this point home. In order for learners to be fully engaged with today's participatory culture, they need the social skills and cultural competencies to do it. It, therefore, must be integrated into the learning environment. We witnessed first hand just how much it means for students to use their voices to express opinions in a world of shared content. Media is not just questioning the traditional types, such as newspapers, magazines, or websites. It’s participatory. They felt empowered to share their ideas with others and to follow what others had to say. 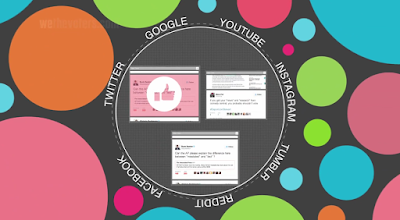 Students need access to new media as it evolves in real time, their time, in order to be discerning learners. On Tuesday, Americans will elect their next president. While a record 200 million citizens are now registered to vote, a majority do not understand the process for choosing the commander-in-chief. With a little conversation, the seemingly esoteric nature of the Electoral College is actually quite simple to grasp. Regardless, therefore, of the particular vitriol of this year's contest, teachers and students deserve to take a moment this week to learn about our Constitutional republic. A host of helpful explainer videos and animated infographics are available to educate learners of all levels about the Electoral College. 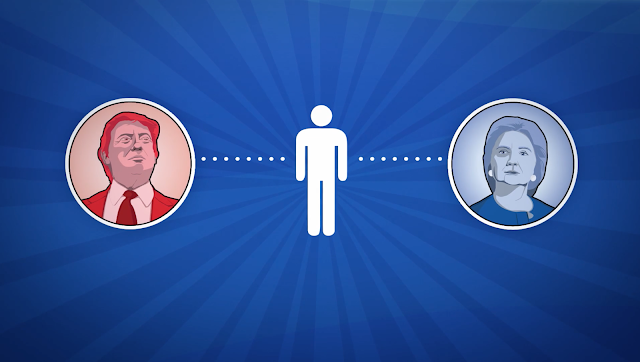 Electoral College from Janet Cordahi on Vimeo. For more information on teaching and learning about the presidential race, see the series of posts on "Gaming The 2016 Election."